Looking over your shoulder while driving is a healthy habit. But looking over your shoulder to check for dandruff could be quite embarrassing, especially for women. 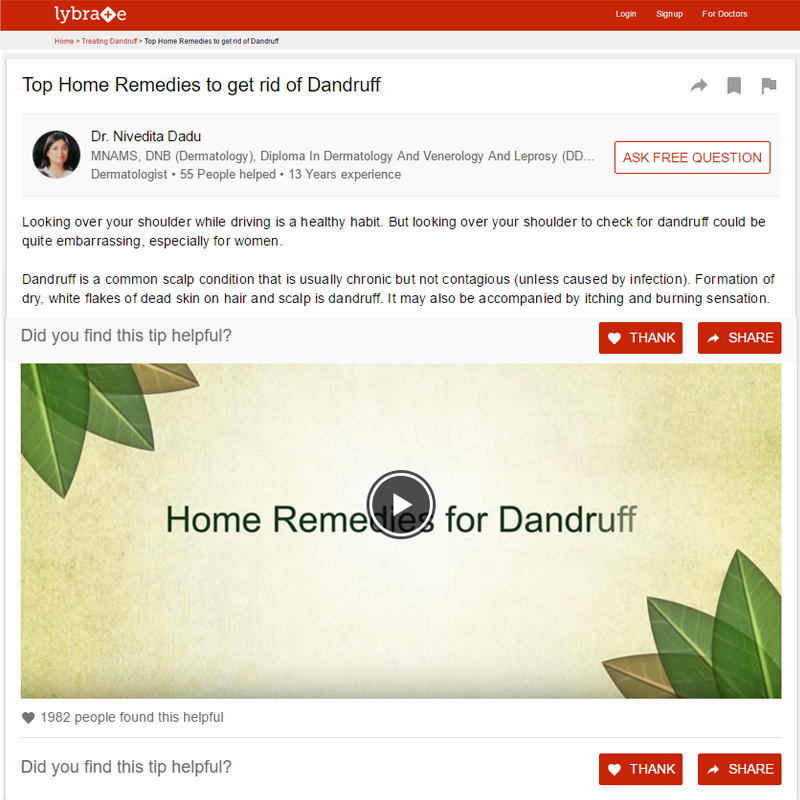 Dandruff is a common scalp condition that is usually chronic but not contagious (unless caused by infection). Formation of dry, white flakes of dead skin on hair and scalp is dandruff. It may also be accompanied by itching and burning sensation. Those with oily skin are more prone to this problem because it is often a mild form of seborrheic dermatitis. – take a handful of neem leaves. – boil them in 4 cups of water. – cool and strain this solution. – rinse your hair with this decoction 2-3 times a week. – take some coconut oil. – add half the amount of lemon juice in it. – apply this mixture to the roots of your hair and massage for a few minutes. – leave on for about 20 minutes before rinsing it off. – take 2 tablespoons of apple cider vinegar. – add an equal amount of water. – add 15-20 drops of tea tree oil. – massage your scalp with the mixture. – rinse after a few minutes. – follow this remedy 2-3 times a week.